With 26 years executive level corporate business experience across several industries and over 25 years of coaching experience, Patti Ayars – President of Turning Point Consulting – has the ability to coach you to implement successful strategies that make a real difference to the bottom line. as an Executive Coach for Butler University’s Executive Education program. Designed an eight month leadership development program for physicians that enables them to develop the skills essential to leading teams and thriving in the midst of the changes in healthcare. As Senior Vice President, Human Resources and Corporate Communications for Roche Diagnostics Corporation led in enhancing leadership effectiveness and having Roche recognized nationally as a great place to work. 21 years with Monsanto Company in a variety of global and domestic strategic Human Resource, Organization Development and Mergers & Acquisitions roles. Developed processes to ensure value capture as Monsanto spent over $8B acquiring new companies, was the project leader in establishing a successful start-up of a joint venture and led the integration of key processes in a $17B merger. Launched her coaching career in 1991 by working with over 100 senior leaders in transforming a patent protected business to one operating in a competitive environment. Since that time she has been successfully coaching CEO’s, physician leaders, General Managers and other senior leaders as they drive growth, lead change, further develop their ability to lead organizations, acquire and divest companies and transform the culture of their organizations. Patti is the author of the book The Art of Leading Transformational Change and is the co-author of the book Mastering Momentum: A Practical and Powerful Approach for Successful Change. She also co-developed and taught an eight month course on Leading Transformational Change. 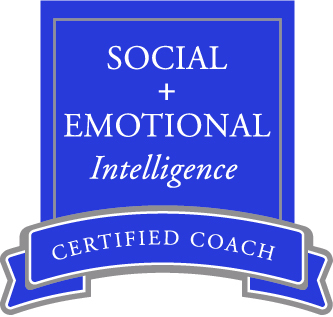 Patti is certified in the Center for Creative Leadership assessment tools and is an Institute for Social + Emotional Intelligence Certified Coach. She is also a member of the International Coach Federation. Patti has served as an Elder in her church, on the Boards of the Indianapolis Chapter of the International Coach Federation and Peace Learning Center and as a mentor for the Indianapolis Healthcare Businesswomen’s Association. All Turning Point coaches and consultants adhere to the International Coach Federation Code of Ethics (http://www.coachfederation.org/Ethics/). Professional, results-oriented, confidential coaching and consulting are hallmarks of Turning Point Consulting.